The Vessel Arrest Fence creates an above-and-below-water security zone barrier to protect assets from unauthorised marine intrusion. Designed to compliment onsite ‘Force Protection’ for ships, harbours, ports, offshore-platforms, nuclear facilities and waterside assets, it provides a passive and highly visible fence like deterrent that stops attack vessels before they can get close enough to cause damage. A Vessel Arrest Fence starts at 1.2m high and goes up to 2.4m high and available in standard 50m lengths or as specified by the customer. 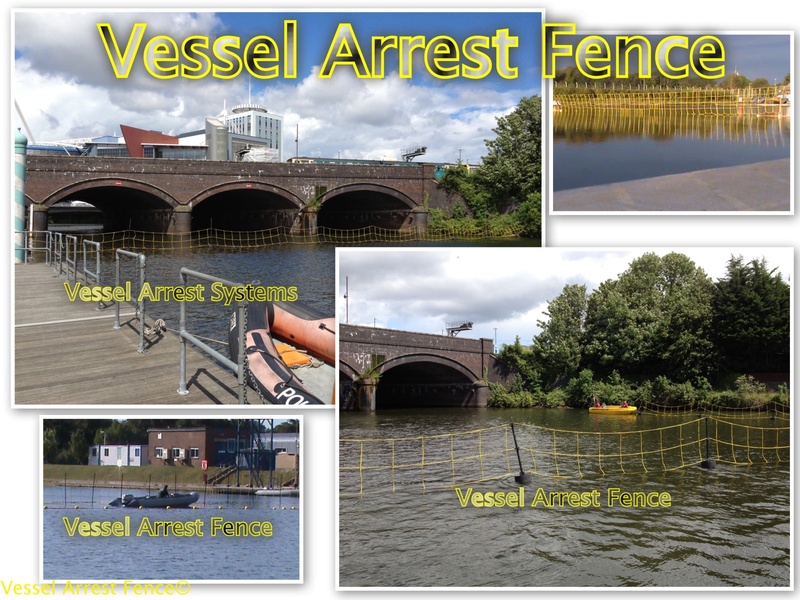 A Vessel Arrest Fence canbe designed and adjusted to suit various local current and weather conditions, and can be manufactured to any length. Designed to meet IALA & IMO Regulations, the Vessel Arrest Fence uses mooring buoys at intervals no greater than 100 meters, which is compliant with current zoning legislation. 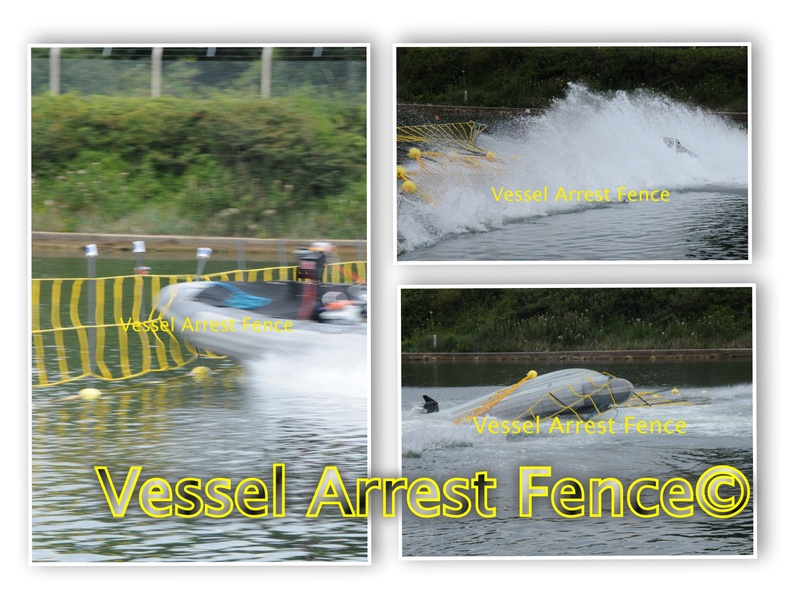 A great system for deterring or stopping small boats or Jetski's, the Vessel Arrest Fence is a scalable system. 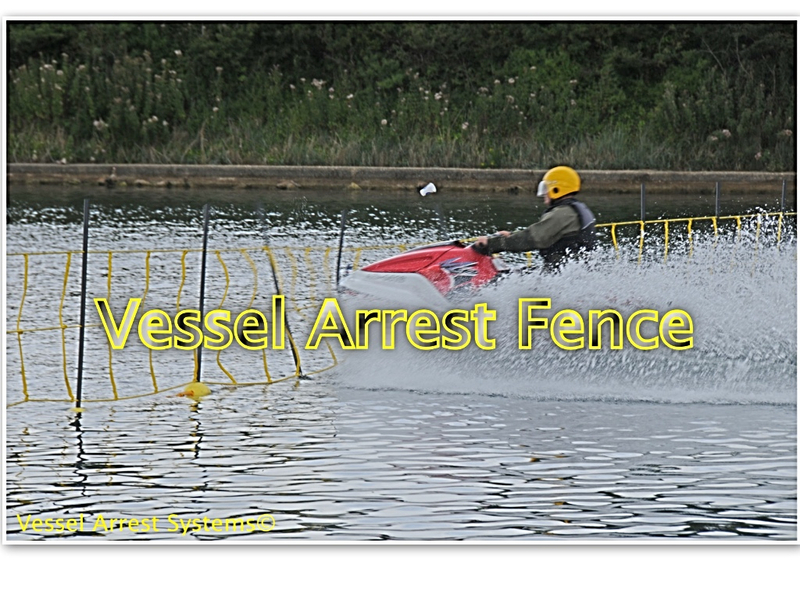 The Vessel Arrest Fence is independently tested and approved. The fence is in service operationally and is quick to deploy and recover, many units use it as a mobile barrier. Installed at any venue, tidal, non tidal, the system can be towed, opened and closed all by a small boat.